Kids today, it seems, are struggling more with pencil grip that previous generation, a change many expert put down to too much time spent on tech (iPads and touch screens) and not enough time spent holding pencils and trying to write or colour. In fact, according to Sally Payne, the head paediatric occupational therapist at the Heart of England foundation NHS Trust, children’s finger muscles are being prevented from developing sufficiently due to an overuse of touchscreen – and this, in turn, makes them less likely to be able to hold a pencil corrently. “Children are not coming into school with the hand strength and dexterity they had 10 years ago,” Payne explained to The Guardian recently. “Children coming into school are being given a pencil but are increasingly not be able to hold it because they don’t have the fundamental movement skills." If you have noticced your child struggling with that all-important pencil grip – or just want to help them learn how to do it correctly before any bad pencil grip habits have a chance to develop, this nifty little plastic gadget might be worth the $14.99 investement. This learning writing tool will help your toddler and child correct his or her writing, and will teach them how a pencil is mean to be gripped. Made from soft silicone, they are non-toxic and environmentally friendly, and fits on pencils, pens, art markers and other writing tools. 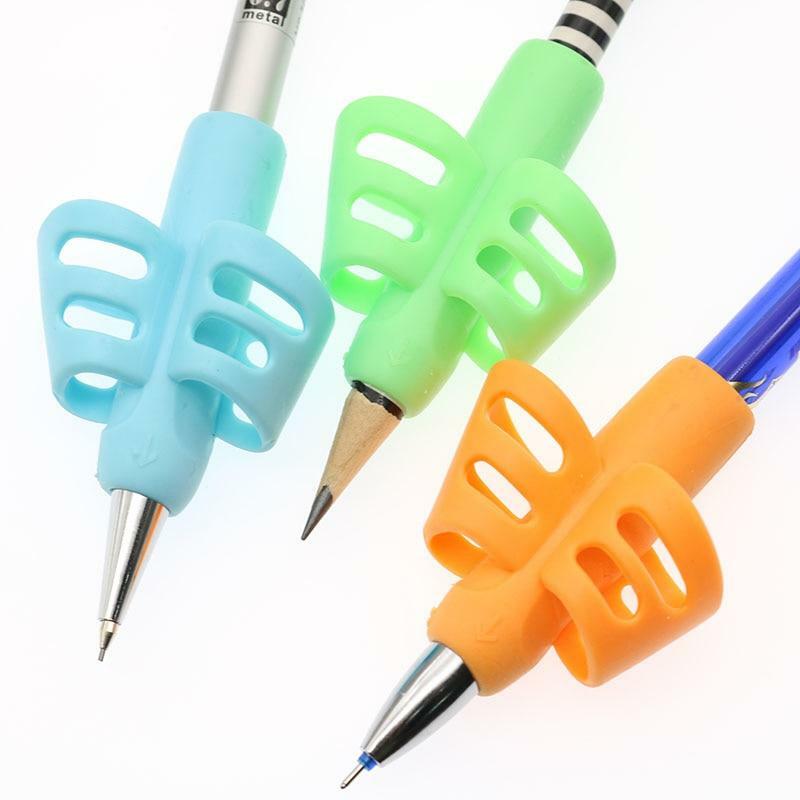 Priced at $14.99 for a set of three, these siliconepencil grips are suitable for kids aged 3-13, and will effectively prevent the thumb and forefinger from crossing, and hence correcting children's pencil grip and writing skills.